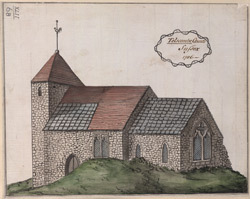 The flint nave and chancel of St Lawrence's church date from the Norman era. The north aisle and chapel were added in the late 12th century. Telscombe is a small village situated in the Sussex Downs.